4 Stars (out of 5) - "One of the milestones of country music....helped put an official seal on the whole Outlaw movement....It may not seem exactly radical now but it did at the time with the likes of 'My Heroes Have Always Been Cowboys,' 'A Good Hearted Woman' and 'Me And Paul' rightly going on to become the stuff of legend." "WANTED! THE OUTLAWS saw RCA finally get to grips with what was going on in Austin and commodified it with impressive results. The 1996 reissue of WANTED! THE OUTLAWS includes nine additional tracks from the original sessions and one new song ("Nowhere Road"). Personnel includes: Waylon Jennings, Willie Nelson, Jessi Colter, Tompall Glaser (vocals); Steve Earle (acoustic guitar); Richard Bennett (guitar, mando-guitar); Robby Turner (pedal steel); Mickey Raphael (bass harmonica); Garry Tallent (bass); Greg Morrow (drums); Ray Kennedy (tambourine). Producers include: Waylon Jennings, Tompall Glaser, Ronny Light, Danny Davis, Chet Atkins. Engineers include: Al Pachucki, Leslie Ladd, Tom Pick. Includes liner notes by Chet Flippo. Digitally remastered by Benny Quinn (Masterfonics, Inc., Nashville, Tennessee). 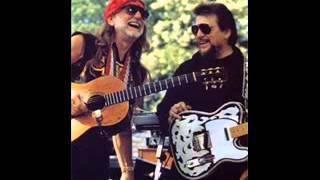 Personnel: Waylon Jennings (vocals); Willie Nelson (vocals); Steve Earle (guitar, acoustic guitar); Richard Bennett (guitar); Mickey Raphael (harmonica); Greg Morrow (drums); Ray Kennedy (tambourine). Liner Note Author: Chet Flippo. Recording information: Room And Board Studios, Nashville, TN. Photographers: Melinda Wickman; Bill Grine. Unknown Contributor Roles: Steve Earle; Tom Pick. In the mid-1970s, Waylon Jennings, Willie Nelson, and a few other cohorts turned the Nashville country establishment on its ear, introducing a gritty, rock & roll feel and iconoclastic, rebellious sensibility to the staid institution country music had become. 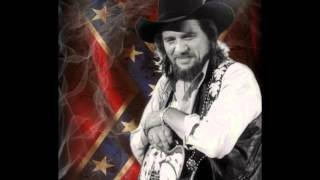 The breath of fresh air that they were, they became hugely popular, and were justly hailed as the vanguard of "Outlaw Country." After releasing a number of definitive solo albums in the preceding few years, Jennings and Nelson collaborated on one of the most popular albums of the genre, 1976's WANTED! THE OUTLAWS. Aided by Waylon's wife Jessi Colter and pal Tompall Glaser (of the Glaser Brothers), they crafted perhaps the ultimate Outlaw Country mission statement. The rough-and-ready ethos of Jennings's "Honky Tonk Heroes (Like Me)" and Nelson's "Me and Paul" is pretty much ground zero for the style, bearing undeniable energy, earthy humanism, and irresistibly catchy lyrical and melodic motifs. Jennings and Nelson would scale even greater heights of fame in the years to come, but were seldom ever as much at the top of their game.